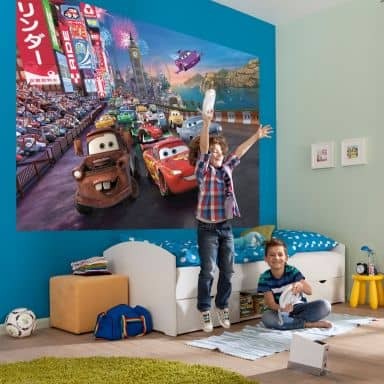 The Disney movie Cars is all about cars and vehicles. 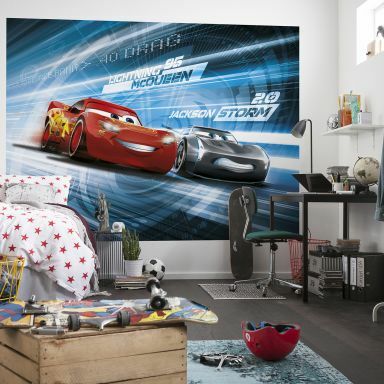 The main character of this movie is Lightning McQueen. 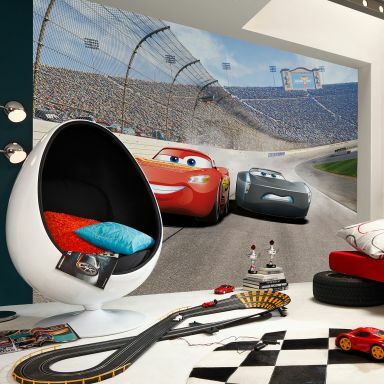 McQueen participates in many races and he tries to win the most imporatnt races. 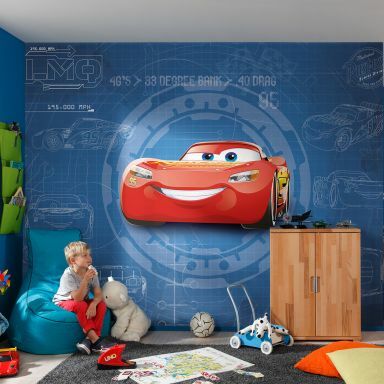 Together with his friends Mater and Sally he enjoys the most fabulous adventures. 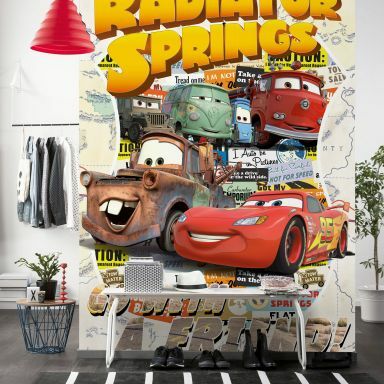 The movie has been a great hit and it is still loved by many. 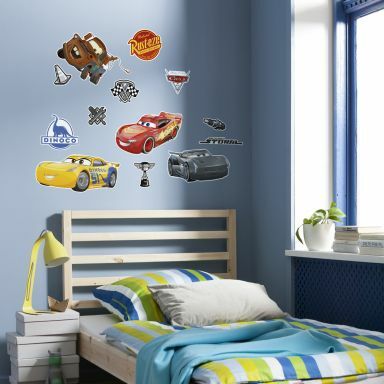 At wall-art.com you can easily order your Disney Cars wall art stickers and Disney Cars wallpaper online. 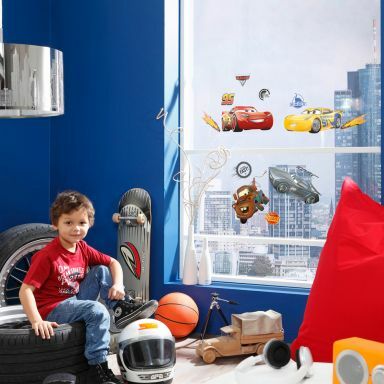 Create an awesome room for your little boy when he likes cars, transportation and vehicles! 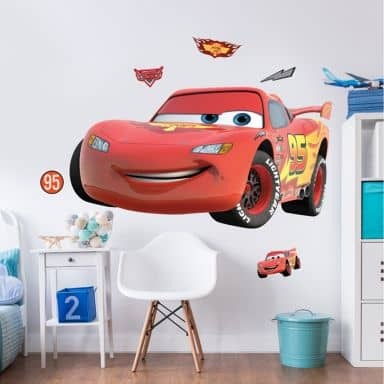 Whether you are looking for Cars wall decals, Cars window decals or Disney Cars wallpaper, right here you can find it all. 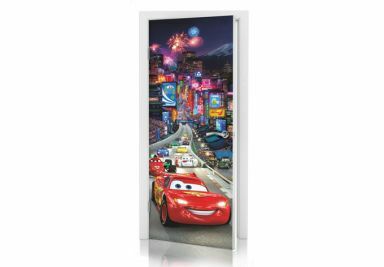 All you have to do is order your favourite wall decorations and we'll deliver it right to your door. 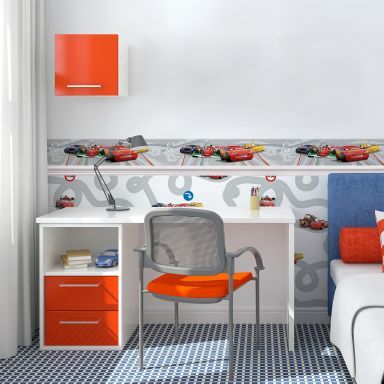 You can easily apply the wall stickers to a smooth wall, to smooth wallpaper, to a door or to furniture. 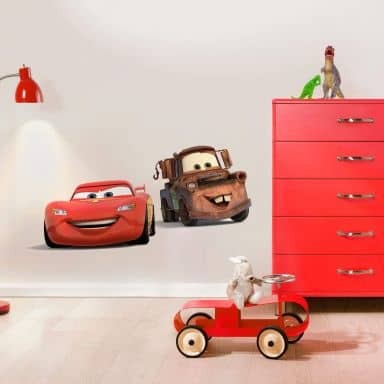 Whenever you want to change the look and feel of the room of your child, you can easily remove the Cars wall stickers again. 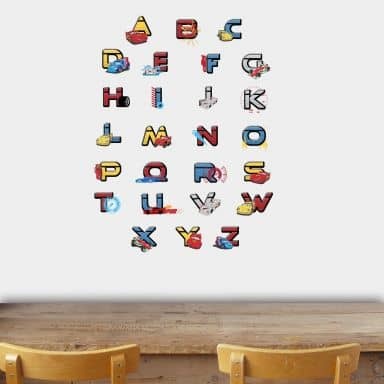 Enjoy shopping at wall-art and choose from thousands of wall art stickers and wallpapers. 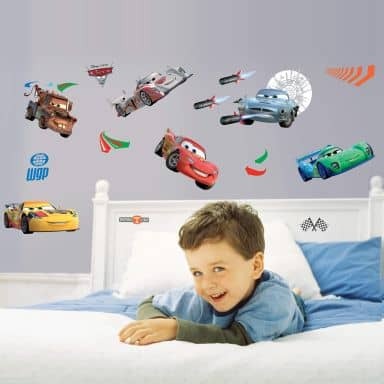 All our wall stickers are produced in Europe and they are made from top quality materials. 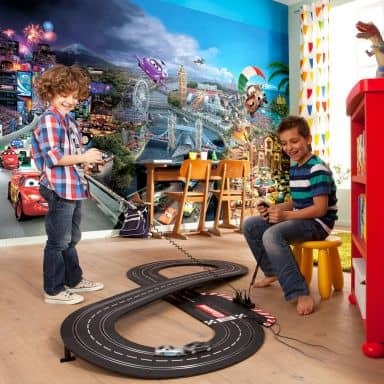 Cool set with Disney's Cars! 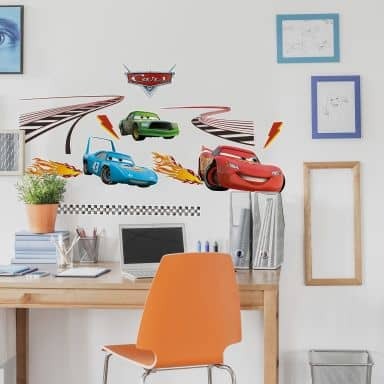 Great border with Cars from Disney! 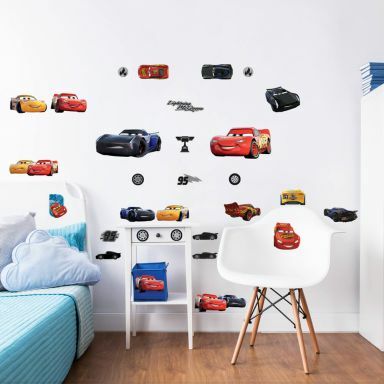 The beloved Disney Cars as nursery decoration. 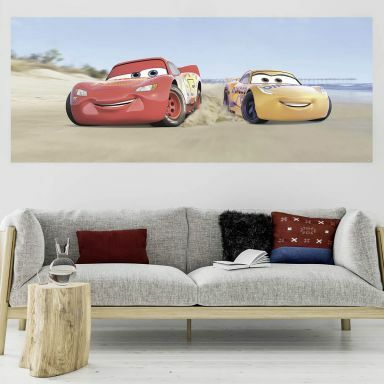 Lightning McQueen and Mater in a retro look!